I’m in the showroom of Mayfair jewellers Wartski, slouched in an armchair that once belonged in Saint Petersburg’s Winter Palace. In the palm of my right hand, I’m bouncing an object little bigger than a golf ball, which, together with its stand is thought to be worth about £20 million. It’s an extraordinary feeling, running your thumb down the grooves of an item worth so much more than the already extravagant cost of its materials. 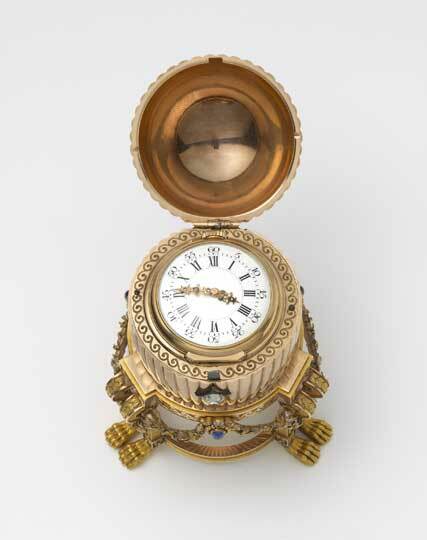 For a few minutes, I am in physical possession of Peter Carl Fabergé’s Third Imperial Easter Egg. The jewelled eggs that Fabergé was commissioned to make as Easter presents for the Russian royal family between 1885 and 1917 are among the most valuable ornaments in the world. They are icons of Imperial splendour, symbols of the Tsars’ supposedly divine and long-since curtailed right to rule. 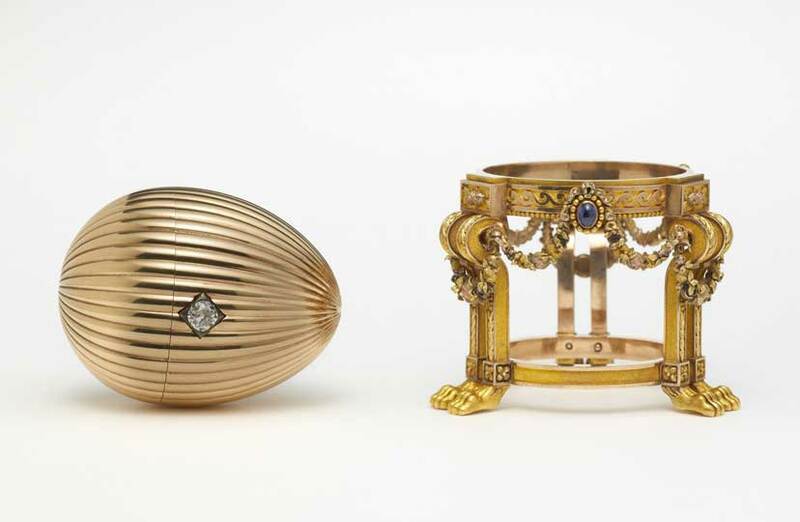 For all this, most of them – particularly Fabergé’s later offerings – are actually rather garish. A critical eye might now view them as monuments to the dangers of hubris and conspicuous consumption. They are nonetheless fetishised as the stuff of romantic legend – holy grails for collectors. 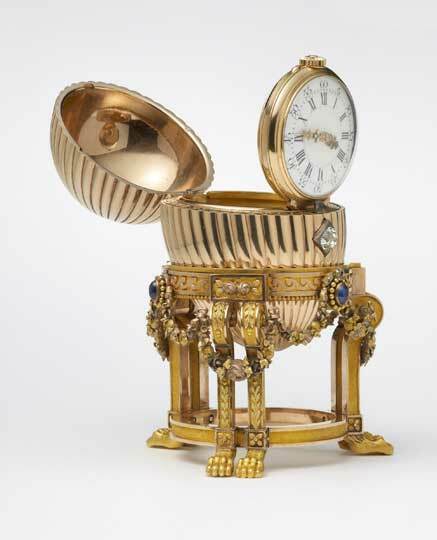 This particular egg, given by Tsar Alexander III to his wife in 1887, is a more tasteful example. The top of the simple, ribbed gold egg flicks open to reveal a ‘surprise’ – a Vacheron Constantin watch on a hinge. The stand, fashioned in the rococo revival style that was then popular with the Russian elite, is an extraordinary work. Individually crafted ‘petals’ in three different types of gold and rose cut diamonds garland its three sturdy legs, which end in a set of magnificently detailed lions’ feet. But the staggering craftsmanship alone doesn’t come close to telling the whole story. Following the February Revolution of 1917, the egg was confiscated from the royal family by Alexander Kerensky’s short-lived democratic provisional government, and remained in the hands of the state after the Bolsheviks seized power later that year. The last record of its existence was in 1922 – after this, it vanished. Experts and Fabergé collectors assumed that, as with so many other missing treasures, it had been looted and melted down. Three years ago, a pair of amateur art history sleuths discovered a 1964 record of sale in an auction catalogue, which fitted the description of the missing egg to the letter. 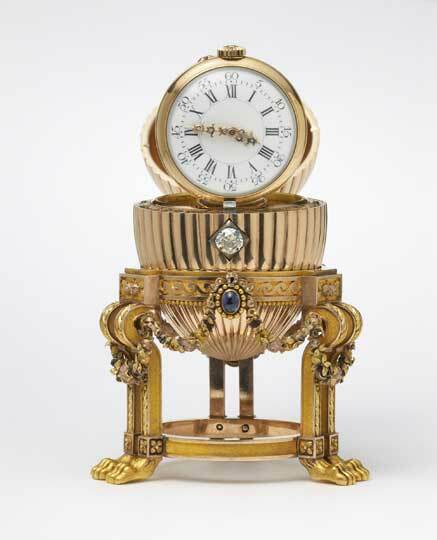 The excitement was enough to prompt an article in the Telegraph, in which Wartski’s Kieran McCarthy, a Fabergé expert, was interviewed about the possible whereabouts of the egg. After a year no-one had come forward, but then an unlikely customer walked into Wartski’s Grafton Street premises. After a visit to the scrap dealer’s home to view the egg (where it was, cutely, photographed next to a cupcake), McCarthy was convinced. 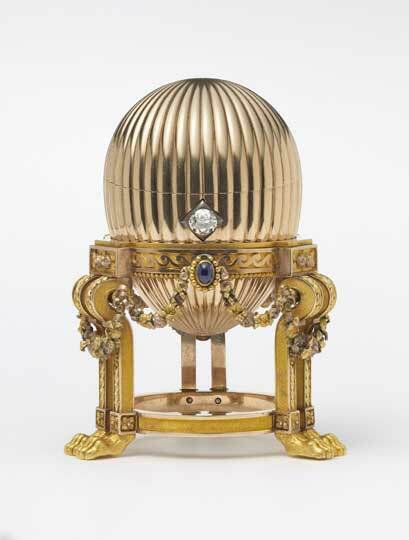 The egg, estimated to be worth around £20 million, was sold to an unnamed private collector, who has allowed it to be put on display at the Wartski shop for four days from April 14. We now have the beginning and end of the Third Imperial Egg’s journey from Saint Petersburg to Mayfair – but what of the middle? ‘It was almost certainly brought to America by Armand Hammer,’ McCarthy says. Hammer, an entrepreneur whose Ukrainian-born father was a leading figure in the Socialist Labor Party of America, travelled to Russia in the early 1920s, where he befriended Lenin and was, unusually, allowed to do business in the Soviet Union. He came at a time when the ‘bourgeois’ commodities valued by the old regime had been branded ideologically worthless and immoral. The Fabergé Eggs – almost all of which were in the hands of the government – were almost certainly the most reprehensible symbols of the past. Turning ‘treasures into tractors’ became something of a motto for the Bolsheviks. They traded jewels and furs for badly needed wheat; caviar and gold for industrial equipment. Most of the Fabergé eggs were sold off abroad or obtained by Hammer. He returned to America in the ‘30s and sold his hoard off to the highest bidders. Of the 50 Imperial Fabergé eggs, 43 are now accounted for. Ten remain in the Kremlin Armoury, nine belong to Ukrainian oligarch Viktor Vekselberg, five are in the Virginia Museum of Fine Arts, and three belong to the British Royal Collection. The rest are scattered across museums, foundations and private collections around the world. The whereabouts of the remaining seven eggs remain a mystery. Is it possible that they might survive? McCarthy is ‘pretty sure’ that at least two of the missing eggs are still intact. That either of them might surface in quite such remarkable circumstances, though, seems an unlikely prospect. Art and science in conversation: why now? Why have art and science particularly come together in a glorious synergy of exhibitions in 2014?